Is this a political comeback of some sort by Sng Chee Hua? Its like the rise of “dayakism” and the posts Taib Era has got something to do with this speculations and rumours circulating.Masing has been very incessant in his statements that Pelagus belongs to PRS and they have found a candidate to replace Larry Sng (son of Chee Hua) and Assistant Minister in CMs office with three portfolios and is partyless after the PRS crisis. Why Meluan? Why an SPDP seat? We have been harping that the dayaks are seriously trying to use 1987 as a yardstick. 1994 PBDS came back to the fold and many felt they have been shortchanged by their leaders. The political equilibrium which has been enjoyed by the BN government in terms of stability,unity and harmony for the lasts 16 years is being rattled not only by the Opposition parties of DAP,PKR,PAS and SNAP but also from within BN. The 5 plus 3 SPDP separatist has somewhat opened the PANDORA BOX. We have found delight for the last 16years in terms of OLD WOUNDS HEALING but political alliances does not lasts forever and the SCARS are still there. We say our politicians have come of age and extreme parochial politics has seen the last of its days but its coming back with a different version. On November 9th 2008 nearly 1 and half years ago we wrote”Ming Court 1987 of a reverse version“where the Dayaks are playing the puppet game on the surface but striking it hard quietly as they advance from their rural base. We also received from a BN YB and Political Secretary said,”No need to wori Bro.What revival is this? Hasn’t there been numerous revival which led to the formation of PBDS before? It’s just another attempt by disgruntled and frustrated PERSONALITIES TO WIN POWER. Bear in mind that any group that uses race as their battle cry will never succeed. It has been proven by PAJAR and PBDS before.Many have short memory. With this in mind former Deputy President of PRS (P182 and N54 YB) Sng Chee Hua might also be picked to join in the fray. The 24 2/3rds majority and 36 overthrowing the BN Sarawak government has been sounded by DAP supremo Lim Kit Siang. It will be a political comback of some sort by Sng and he has been itching to get back to what he knows bests. Opposition leaders cannot see it happening and many are not James bests friend but they know with PRS dayak leaders with them and also their own the REALITY CAN BE ACHIEVED. Will Sng again spoil the Opposition plans..?? He is afterall 8 years younger than Taib Mahmud the CM . Surely he will brush this speculation aside. We will SOON KNOW as the election days draws near………..
Slyvester Entri’s walkout was not staged nor angered or dissatisfied with the party. He was HUMANLY HUMILIATED infront of his own colleagues and those who followed suit are Principally Correct. Who wants to be treated this way? Would you.? The immediate concern of course will be the BN government who has seen a fair of power struggles in PRS and SUPP. PRS has survived the infighting and has grown stronger as a result while SUPP is still bothered with factional disagreements. Is they a need for an EGM.? There are already voices of discontentment of irregularities and versions too of Constitution being disregared and overuled.ROS does need to check it out.There are also calls for Mawan to resign gracefully.Also there are indicators of PBB interferences.In this regard SPDP leaders at all levels must learn to accept and indulge in interactive negotiation to solve the problems besetting the party now.The dirty linens are now being hung in the public which are totally scrutinised and giving pointers to the opposition Pakatan Sarawak to attack the coalition. Is there a way out for Mawan.? That he has to answer himself together with his closest leiutenants. However there is light at the end of the tunnel for Slyvester Entri.There are already FEELERS being sent to Entri and his aspiring group to join forces with PRS. An aide said to audie61,”At the height of the infighting of PRS Mawan did say for the better good of BN and to strengthen the BN we will accept whichever faction be it Larrys or Masings.Now its Masings turn to recipocate and find a home or parking for those who have walkout and with additions of 5 ADUNS and 1 MP this will put PRS in a very strong and commanding partner in Barisan National. PRS itself has 8 ADUNS and 6 MPS. Will it work..? Im sure CM Taib will use this to his advantage and if the need arises he will not hesitate to tell PRS to accomodate the legislators for the time being (parking)in preparation for the State elections which might be called sooner rather than later.Even Larry would be accomodated to stand in PRS if it is necessary according to the aide. Who stands to lose will be SPDP and Mawans “status quo” might come back to haunt him and the party. One will not discount this happening as its for the greater good of the coalition.The right political message needs to be handed down by the leaders in SPDP and addressed. There is little time to quarrel let alone fighting for individual egos. The line has been drawn and if no one extends an olive branch the scenario might just be ripe for the MERGER which has been advocated by the Chief Minister for some nearly three and half years already. There has always been a stumbling block by someone but as we know History does have a hand in Politics. It is better that they join hands with friends in the other BN component especially if PRS makes the offer to make Sarawak what it ought to be a place where multi racial understanding at its best, and where goodwill and tolerance continue to motivate people to work together and learn from each other. Sarawak has enjoyed politcal stabilty and socio-economic development and the shift in the partners in the coaltion might just be the right tonic for BN to go to the people to asks for a new mandate. SPDP leaders must also look at themselves as agents of change and if History has her own way Entri and his team would be absorbed into Parti Rakyat Sarawak(PRS). 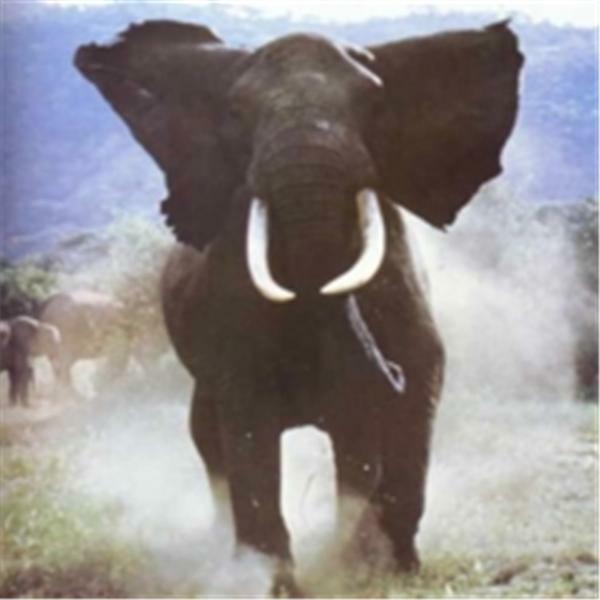 A BN supporter aligned to SPDP said,”Let the elephants fight until they are exhausted.Meantime the mousedeer can only watch.” The inclusion of the YBs does strenthen the BN and he is all for it.How very wise………. A veteran political analysts said to audie61,” The 110 metres hurdles have been won by Larry Sng and he has crossed the line.” What the point and why should James Masing still try to harp on the issue of Pelagus State Seat? It’s already a Done Deal and the Pelagus issue has already been settled and completed. Wasnt he told to “Swallow his pride by CM and he will come out on top.” Something must not be right or else the PRS President would have be tightlipped and carry on with business as usual. Why rock the boat when everything seems smooth? He can shout as loud as possible to the press/mass media but as far as CM is concerned Larry will still be a candidate for Pelagus. The poltical analysts said it just shows that ” James needs to speak out to apiece the WARLORDS in PRS and to keep his troops intact with him as PRS prepares to face the State elections. Can anyone rule out the possibilty of PRS leaving the BN State coalition? It has happened to PBDS though its now a different party but some remaining players inside PRS are very much the same but are older, wiser and more politically experience. Could this ignite the fire of 1987 revisited? The State BN has ensured that stabilty,unity and harmony is prevalent in Sarawak Politics. To say that conflict was totally eradicated ,whether involving intra-party relationship or specific personalities in the most sublte ways,is attempting to paint a picture of political bliss. The State BN leadership has been able significcantly to contain most of these PETTY bickerings without upsetting the balance of power within the State BN. We know that crisis breeds opportunities and conflicts is an inherent process in any power arrangement. A better understanding of how PRS works one has to understand that usage of the role of conflict to gain a foothold. The Pelagus issue is very much a thorn that has stuck in the parties backside and the party members according to sources have been pressuring the President to once and for all lay the ghosts of Pelagus to rests. Though its very thought -provoking the President expects this approach would open a leeway for the CM to appease the party. The CM being very astute will no doubt hold this card close to his chest and will refuse even when asked by press reporters to reveal even the slightest clue. The excitement is already up an ante on Pelagus State seat and James will sooner rather than later push his cart of names for consideration in the remaining 8 PRS areas. The 110 metres hurdles have been won by Larry Sng and be rests assured that he could even be an independant BN candidate. The article from Borneo Posts (English daily) which has sparked differences of opinions in Sarawak’s political arena. SRI AMAN: There are no two ways to it. Parti Rakyat Sarawak (PRS) is staking its claim over Pelagus and has identified several names to win it come the next state election.Speaking to reporters after officiating at a public function at Rumah Anyie Rangie, Entulang Entawa, here yesterday, President Dato Sri Dr James Masing said PRS has short-listed “a few possible candidates” for the Iban-majority seat. “We have several good nominees to choose from, who are highly qualified local Dayaks and the most appropriate to continue the Barisan Nasional (BN) struggle in Pelagus,” he said, clearly hinting that Pelagus incumbent Larry Sng will have to go. Asked to name names, Masing said not only is the time not right but that PRS prefers to let the potential successors to work hard on the ground until such time as when the party will weigh who is the best of the lot. “What I can tell you now is the potential names are highly qualified Ibans who are born in Pelagus and capable of carrying the BN flag high,” Masing reiterated. Masing, who is also Land Development Minister, was earlier asked of PRS’ stand regarding Pelagus whose assemblyman he had expelled. Sng, an assistant minister with three portfolios, is now partyless after he was sacked by PRS in 2008. But since he was retained in last December’s cabinet reshuffle, many political observers until now believe that Sng will defend Pelagus under a seat-swapping arrangement between PRS and another BN component. In response, Masing said yesterday that he does not see any seat-swapping coming simply because whoever is supposed to be the other party in the arrangement has not been showing any interest. “I think they (the other BN component) are not interested in swapping seats. Because of that, PRS will be defending Pelagus because the seat has always been ours,” he said. They say in “Never ever keep a Good Man Down.The truth will be told and when the real politicians come up and start revealing it will create a turmoil. Heads certainly are starting to roll down the staircases and take the case of MCA and PRS. There are certain arrangements or haggling in place before all these can bear fruit. audie61 received a lot of sms and telephone calls questioning the ROS decision and something should be followed up. There were also documents being thrown to our laps and amongst them a letter written by ROS on September 7th 2006 on PRS. Some even question what happened to the former PRS SG Sidi Munan and his pursuits of the truth? DID SOMEONE STOP HIM OR THREW IN THE TOWEL WITH A DEAL..?? We also reposts a comment from yeoman who said,” Larry’s in shows the total disregard of PRS n Masing leadership . 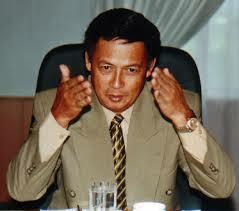 Its shows that its ok to defy ur own Boss coz in Sarawak BN , you only have to please Taib and the rest doesn’t count !! Absolute power ?? So was the deal brokered to maintain Larry and give James the President of the party on the plate and please his supporters asked an informed source? There are also evidences on tape that mosts of Larrys divisions were pushed to a corner and asked to join opposition party “PKR”. This in time will be revealed.Shall we just put it on YOUTUBE..?? Hmmm Interesting times. This iswhat exactly Najib has in mind as he tries to clean up those who have had a fine run in the running of the administration. He needs to face his voters in theGE13th and he will not stop at anything not to clean up the virus that has plague the Barisan Parties. The political line is getting thinner and he needs to thread it with caution. MCA in total turmoil and it also appears that SUPP is in a similar predicament in sarawak. In no time it will engulf itself into a BIG UNCONTROLLABLE FIRE. The Bureaucrats in the government agencies needs to polish up their work as now they cannot even see their backs.Previouslythere were a lot of people looking out for them but not now.It has become too fluid . Their bottoms are leaking with information furnished by those who are trying to bring down the indisciplined and non performing officers. ROS is now in the spotlight and many political parties in time will challenge the powers of the ROS eventhough we have posted earlier this article,” Societies Act 1966(Act 335 ) & regulations.-18c Decision of political party to be final and conclusive. Updated:- Privilege source said 13 supreme council members including deputy president Peter Nyarok were absent at yesterday’s meet.Do you honestly think that all is well in SPDP..he begs todiffer hmmm A crack in the seams and whee will the New Assistant Minister Nansian be supporting ?? Chief Minister Taib is truely a master tactician and a strategist when it comes to administering the State of Sarawak. There was much hype in the reshuffle of Ministers/Assistant Ministers,SPDP tussling of positins for the AGM on December 28th and 29th and the PRS Dinner where words from disgruntled members said that CM was not bothered and will not attend. Alas,doesn’t this remind us of the Hug of the Uncle and the nephew in Hilton? Today he will announce the names of his new colleagues in the state Administration at 4 pm at wisma Bapa Malaysia and believe me there are already a bee line of reporters waiting at the site of the announcement. Speculations are a plenty and CM has already capitalise on this and enhance further his credibility of staying in power for another term. SPDP is just a phone call away and now he needs a strong coalition to ensure the State would remain a strong BN bastion. Mawan summed it up nicely with these words,‘Any member challenging any determined post in the line up without the consent of the President is tantamount to working against the interests of the party,and I shall vigorously endeavour to stop such move,and not to allow it to succeed to undermine the party.” This was used by CM to his innsider especially at the height of the PRS crisis. The weak has fallen down the wayside and his troops in PRS are now those who will bow directly to him and his ways of administering the State. SUPP he has put his trusts on his in law George Chan and they will do well not to lose further seats in the coming State elections. SUPP need a boost of some sort and in time it will be given a new “NUCLEAR ENERGY” to fight against the determined and solid Sarawak DAP. The Dudong issue will be used to wash away the detractors in the SUPP circles and very soon all will be found out. His State administration in place and his political parties are solid behind him the CM will signal it as a very nice inspiration and signal to call for a State Election. Those who aspire to be included in his new team and did not make it, needs to wait till 2012. …Thats not too long to wait is it? CM know what his peoples pride is and he will use it to challenge those who undermine him. Any trojan horses in the opposition..hmmm? seems SKY has his sights on blogging on Lazy Sunday.For some its a holy and blessed Sunday while others will celebrate and thank God for their new found positions in the State cabinet….